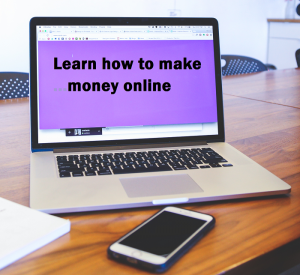 Learning how to earn money online is not difficult once you understand some basic principles and you get rid of the idea that you can become rich overnight, with some magic trick, or secret software that some internet guru has discovered. “If they had, they are not going to be selling it to YOU! We will begin by looking at some common mistakes that are avoidable and how to remedy them. Then we will discuss ways of increasing your online income. Are You Making Any of these 3 Mistakes? Like all businesses, there are lots of pitfalls in the affiliate marketing business. Some of these more common mistakes can prevent you from making profits, and you may not even realize it’s happening. That is why it is better to avoid these errors from the beginning. We talked a lot about choosing the right affiliate programs in an earlier post. So now let’s find out why it’s so important to your business that you don’t choose the wrong programs to promote. You see, many people want to earn money from affiliate marketing as soon as possible, and I can’t blame them. “Who doesn’t like quick cash? But, in their rush, they tend to choose what I like to call a ‘bandwagon‘ product. They want this particular product because they think about the immediate demand without actually considering if the product appeals to them or their prospects or has any long term appeal. So instead of jumping on the bandwagon, I suggest you try to choose a product your readers are truly interested in. Take the extra time to do some research about the product to see if it is in demand and determine if there is genuine long term interest in information about that product. A quick way to find out if a product is in demand is to do a Google search for the product and see if anyone else is promoting it. If you see, several Google ads on the side of the search results page you can be reasonably sure that there is a real market for the product. On the other hand, if there very few or no ads for the product then this may be a sign of weak competition, and you may want to drop that product and move on. On a side note, if there are too many ads for the product then your competition will be pretty stiff, and you may want to reconsider promoting it. But market research is an entirely different subject than what we are discussing in this post so that we will move on. Mistake #2: Joining too many affiliate programs. Since affiliate programs are very easy to join, you might be tempted to join multiple affiliate programs thinking it will help you maximize your earnings. “On some level this seems to make sense because what do you have to lose by joining Multiple programs? It is far better to focus your efforts on a select few than to try and stretch yourself too thin promoting every program you can find in hopes one of them will hit the mother load. The best way in my opinion to get the results you want is by joining and promoting just one program at a time. Ideally one that pays a 50% or more commission per sale. Then focus your attention on it until you see that it is making a profit, then join another affiliate program, preferably one related to the first one and repeat the process until you have a whole network of related products making you money. The technique may take a little more time and effort on your part, but what you will end up with is a solid foundation for your growing business, and that is well worth the effort. Mistake #3: Not Buying the Product you are Promoting. As an affiliate, your main goal is to effectively promote a product or service and to find people willing to purchase it through your affiliate link. For you to achieve this aim, you must be able to relay to your prospective customers the primary benefits of that product or service. This is tough to do when you haven’t tried the product yourself. 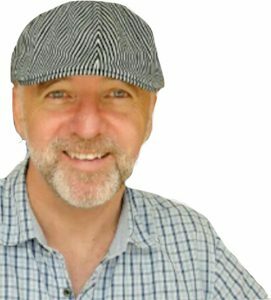 “While you may still have success promoting products that you haven’t personally used or at least reviewed, you will never reach it’s maximum income potential unless you can honestly and convincingly recommend it”. So, try the product or service personally first before you sign up as an affiliate to see if it’s delivering what it promises. If you do, then you will be well aware of its advantages and disadvantages. Your prospective customers will then feel the sincerity and truthfulness in your review of the product, and this will help encourage them to try it out for themselves. There you have it. The three most common mistakes that many affiliate marketers make. Now you can avoid making the same mistakes. Remember time is the key. Take the time to analyze your chosen affiliate programs and get a solid system in place for promoting them and then you will be able to maximize your affiliate earning and build a solid foundation for your business by providing information about what your readers are looking for and by having content that they want to see. OK, now let’s talk about some basic techniques that you can use to drive traffic through your affiliate links for maximum profits. Recent changes with Google such as Panda, Penguin and Hummingbird has changed the old ways used to optimize SEO value of websites and what used to once worked are no longer useful strategies for getting Google Page Rankings. In this book (that’s available to purchase for $5.) 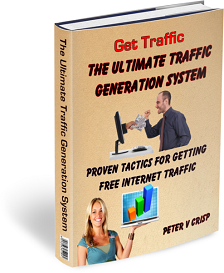 are my proven traffic getting strategies that you can also learn, theses new updated methods and steps to building long term free traffic. These are very easy techniques to implement, but don’t let that fool you! All of the methods discussed in this book have been road tested and with a little bit of effort on your part they will bring you all the traffic you need to run a successful affiliate marketing business. Then all you have to do is write informative content about your product or topic and include your affiliate link. Blogs are an excellent way to drive traffic to your affiliate links. Blogs are very easy to create which makes them perfect for promoting affiliate programs. Another great thing about using a blog is that the search engines, like Google love them and will regularly come by to index your postings. For this method to be effective you must be posting to your blog on a regular basis and be sure that you are strategically putting the relevant keywords in all your posts. The more helpful and informative your content is are the more you will get noticed, and if done rightly, you will receive highly targeted free traffic to your blog that may click your affiliate links. Publishing a newsletter is another great way to drive traffic through your affiliate links. After all, people like to be kept informed. Publishing a free newsletter will help you give your prospects what they want, which is more information about your topic. Do you best to keep you content tightly focused and include your articles, product reviews, and recommendations along with links to your chosen affiliate programs. Try to publish your newsletter on a regular schedule. Once every two weeks is a good rule of thumb, and it will be a great source of traffic to your affiliate programs. I’m talking about using PPC advertising to drive traffic through your affiliate links. Pay Per Click advertising can be a very cost-effective way to get targeted traffic through your affiliate links when you know what you are doing. This technique has more of a learning curve than the other methods we have discussed, but it can also yield the fastest results when done properly. The basis of pay per click advertising is pretty simple. Search engine such as Google or Yahoo will allow you to purchase advertising on a pay per bid basis. You get to choose how much you want to pay for a specific keyword. 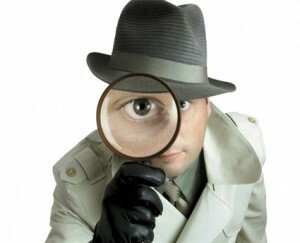 The higher bid, the higher your ad will rank on the search engine results page. 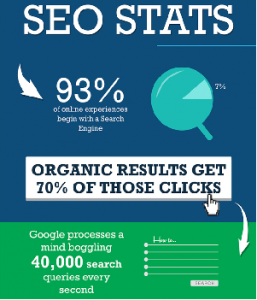 “If done right you can often get good keyword clicks for as little as a few cents per click”. The downside to pay per click advertising is that it can cost you a lot of money, if you’re not generating any leads or sales. That is why I recommend that you take the time to learn as much as possible before you invest a lot of money in a PPC campaign and instead learn how to get FREE traffic. You might like to see my traffic generation methods that is available for getting visitors to your website, without spending a fortune on advertising. Now Let’s Boost Your Affiliate Commissions! Affiliate marketing doesn’t require product development, dealing with customer complaints or refunds or even having to deal with customer support and this is why it is one of the easiest ways to start online and to earn profits. Assuming that you have followed the above steps and you have already chosen your affiliate programs and you are making money then here’s what you will want to do next. How to double, or even triple, your commissions as quickly as possible? Using videos can do so many great things for your affiliate marketing business. It can help minimize miscommunications with your customers. By instantly showing them what they want and helping them clearly understand the product you are representing it will further reduce refunds and other common customer issues that may arise. Another good thing about using video is that there isn’t too much that can go wrong. You don’t have to worry about misspelled words or graphics not showing up when they are supposed to and the chances of your affiliate links being hijacked are almost non-existent. Once you have a great video in place, then it is there at all times to visually show your prospects what you have to offer. Most people don’t realize that there are many different paths to creating a successful online video, every website is different and you have many options. Video gets even easier to utilize when you can take any article and create an audio/ video presentation or ‘sales letter’ and post it on your blog or website. So, almost anyone can create a video for their website or blog. Nothing is too difficult these days as there is a lot of low cost video creation software around. Of course if you want to know how to create video sales letters, to maximise the impact of your video message. Essentially, the prime goal is to provide information to your visitor, not SELL to them. You are only promoting your affiliate links to your customers by making them feel as though you are providing them with a bit of convenience rather than an advertisement. 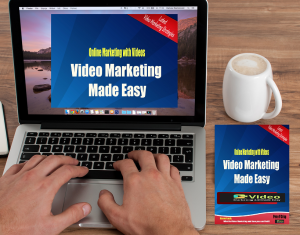 You can check out my Smart Video Sales Training video course (link below) and learn how to create powerful marketing video messages, that capture your audiences attention. The key to actually make money online through affiliate marketing is to decide on the affiliate model that works best for you as there are many ways that you can monetize your blog site. If you’re interested in learning how to build an online business, a business that will allow you to work from anywhere in the world and even earns money while you are still in your pajamas (and many other benefits) then check out my number one recommended online training course that you can begin for FREE. This video below is a simple overview of what you will learn with Wealthy Affiliate. “Even if you are just starting out and want to find out more about starting a business online I can recommend Wealthy Affiliate as an excellent platform from which to get an online education, beginning now for free”. Your top 3 mistakes are very accurate although are difficult to avoid especially when just getting started. A lot of the affiliate products are not that cheap to simply go out and buy before you review them? Also if you are reviewing scams, you definitely don’t want to be paying your way in simply to review them as a scam. But 100% I agree that it’s way better if you do actually purchase the product in question but I think this is easier to do once you’ve started gaining some profit, don’t you? I love your website! I am a stay at home mom that is looking to work from home. I have been searching ways to make money online but everything I have come across seems like I would just make pennies an hour. Wealthy Affiliate sounds amazing! The thought of owning my own website about anything I chose is amazing! After reading your common mistakes, I have quite a few ideas of site I not only would enjoy developing but that I have experience in. Thank you for this great information. I am bookmarking your website in case I accidentally start making some of the mistakes you listed. Thanks again! I think when it comes to making money online there needs to be clarity in what you are doing and good tuition. You are right, there is far too much belief that money can be made overnight and it simply does not work that way. Affiliate programs are of course the root of a good business and using them effectively is important. Joining too many or the wrong ones can leave you scratching your head as to way you are not making progress. Great information here and very informative. Another big mistake some people do when starting an online business is not choosing the right niche. Without the proper research, it would be hard to tell whether a niche can be profitable or if it’s too competitive or too broad. Following your passions it’s important and will make everything more enjoyable, but, still, a proper research before jumping into a niche and start an online business it can save someone a lot of time later on. Also, following a good training and get in touch with like-minded people can be really helpful for someone that it’s just starting out and that’s what Wealthy Affiliate is about. Hi Peter, great post very informative. You have explained the basics of internet marketing very simply, I like the part about the video creation and your link to VSL has some great value to me as I am thinking of adding some video to my campaign. I have a question. What is the cost of the VSL ? Peter, Great overview on the nuts and bolts of earning online income. Thanks for pointing out the 3 mistakes of an affiliate marketing business, as it’s easy to make those mistakes, and all 3 are pitfalls. I was particularly interested in your write up for driving traffic as everything centers around that for earning commissions. Thanks for the information. Yet another great post from you. I don’t get tired reading your post. So straight foward and informative. I will love to be successful at affiliate marketing but I must admit that it is harder than I thought (I had a little of that get rich over night fever). Thank God I have resources like yours to help me stay on track. Is it enough to review and item to drive sales or do you have to buy it? I don’t think I can buy all the products I have reviewed so far. Hello, Denise, Yes, Learning how to earn money online is not difficult once you understand some basic principles and get rid of the idea that you can become rich overnight with some magic trick or secret software that some internet guru has discovered is one the most important lessons and now you know that then things will be easier for you. The key to actually make money online through affiliate marketing is to decide on the affiliate model that works best for you as there are many ways that you can monetize your blog site.Essentially, the prime goal is to provide information to your visitor, not SELL to them. You are only promoting your affiliate links to your customers by making them feel as though you are providing them with a bit of convenience rather than an advertisement. You’ve made some very important points here the most important being that you can’t expect to make money overnight. The video software that you suggest seems very useful and I will give it a try. As a whole you have an information packed post tha I really enjoyed. Thanks for sharing your insights. Thanks for this useful article! I’ve been doing affiliate marketing for some time and even I sometimes forget to look out for some of those pitfalls you listed at the top! I can’t stress enough as well for the importance of everyone to buy the products that they are promoting! To be able to successfully review products you do need to have experience at least trying it! A brilliant well established site with lots of useful information, great images, perfectly spaced out. Hello, Dave Yes, learning how to earn money online is not difficult once you understand some basic principles and get rid of the idea that you can become rich overnight because doesn’t happen like that. Anyone interested in learning how to build an online business, a business that will allow you to work from anywhere in the world and even earns money while you are still in your pajamas (and many other benefits) then I recommend people take Wealthy Affiliate for a test drive, because it costs nothing to try it out. Hey Peter really awesome website. Wealthy Affiliate is the way to go. It really teaches you on how to build the fundamentals for online success. I have been involved in some scams in my past and I was thinking this online making money thing does not work. Until I found wealthy affiliate. Hello, Urosbosnjak Learning how to earn money online is not difficult once you understand some basic principles and get rid of the idea that you can become rich overnight with some magic trick or secret software that some internet guru has discovered and that’s why Wealth Affiliate is such a great program it teaches you the right way to build a successful online business. Thank for your comments :). you made some great points in your article, thank you! I especially liked the part about not getting into too many affiliate programs and losing focus. That was an “ah-ha” moment for me. I tend to do this and then wonder why I’m not making more money. I also have to tell you that I as well am a member of Wealthy Affiliate and I have learned so much there it’s crazy. They are definitely the best place to start if you are new to the affiliate marketing business. They are highly recommended. Thanks again for the great article! I came across your website as I was searching for new affiliate programs. Your site made me realise that we should concentrate on the affiliate programs that are relevant to our niche and not get all scattered all over the place. I am pretty new to affiliate marketing and you opened up my eyes to some really important points. Thank you so much! This is just so awesome. Very informative. It’s really true that we will be more effective if we use the product that we are going to make a review. By the way, in the last part of this blog is that you are recommending Wealthy Affiliate. Well, this is not new to me, I mean I’ve been seeing reviews regarding this but I haven’t tried visiting their website. Saw a lot of reviews in youtube but I was wondering if this really works or not. How long have you been doing Wealthy Affiliate? Are their courses useful to you? If I have a website, can I still join Wealthy Affiliate? Appreciate if you can give me some honest answers. Good read on some of the common mistakes made by affiliate marketers. If I may also add, having a good grasp of keyword research at the early stage can help you write better quality content that helps in readers engagement as well as ranking. Always go for the long-tail, low competition and sensible keywords and deliver information with the intention to educate people more than making money (the cash can always wait). You’ll be surprised how much people will be attracted to your site with this technique. I don’t think fully agree to your statement that it’s not good to promote products without buying them. While I do agree that it’s BETTER to buy them and talk about them, you can still e fine without doing that. You are the research guru and you help people collect all the information they didn’t. Hi Julius I don’t disagree with you. Your main goal is to effectively and convincingly promote a product or service and to find people willing to purchase it through your affiliate link. For you to achieve this goal, you must be able to relay to your prospective customers the main benefits of that product or service. I only said it was more difficult to do if you havenâ€™t tried the product yourself. â€œWhile you may still have success promoting products that you havenâ€™t personally used or at least reviewed, you will never reach itâ€™s maximum income potential unless you can honestly and convincingly recommend itâ€. I’ve been hearing an awful lot about online marketing and affiliate programs lately, your article has opened my eyes to a couple of the possibilities of starting off poorly. I work a regular job and take care of my kids in the afternoon. Do you think that affiliate marketing is something I should dabble into, if so would Wealthy Affiliate be a good choice for me. Really interesting stuff here, I enjoyed the information a lot. I have a website of my own in place and was always curious about how to drive traffic to it. It is not as easy as some people say it is and there are a lot of rules to follow. I was not aware you could have too many affiliate programs. Is this right? What if I have a bookstore on my website and want to sell many different items? Fantastic review you really highlighted where people can go wrong in affiliate marketing, wealthy affiliate has helped me tremendously in having a profitable online business. And i could not agree more with you saying that you need to have had the product before reviewing it, you can tell if someone has bought it or not just from their content, its not easy to hide. There are a lot of people online these days in the affiliate marketing field who are listing products on their website and trying to encourage people to buy them without ever trying the product for themselves. How can you possibly give someone an honest opinion or write about your experiences with products if you have never tried them? I am sure though there are people doing it the right way and for sure they will have much more success in the future. Hi there, what an awesome post! I am also really considering buying that book that you suggested. Have you read it yourself? I feel like I am doing everything right on my website, but I am still not getting as much traffic as I would like and nobody is buying anything yet. I also really like the mistakes that you talked about. Thank you! Awesome post that has taught me a great deal – identified my online mistakes and what I should be doing next! Thank you for sharing such precious knowledge! I will never get myself in front of a camera and start recording or talking, your video marketing tool is just what I needed. Your website is full of gems and I will definitely come back for more. Awesome information so pleased I found your site an I love the idea of not having to be in front of the camera to make a video so will definitely explore that idea further. Found your three common mistakes interesting also. Again great information and thank you for posting. Thanks so much for this information regarding this training platform. I have looked for something like this for a long time and loss so much money trying all the promises of making the big bucks online. I was beginning to think that it was ll a big lie. You have given so much detailed information about how I can also have an online business that I would be crazy not to try it, especially since it’s free to try! When I see all the training that is given, it’s nothing like I got from other places. I mean this real training that you are talking about. I am definitely going to check this out. Maybe I won’t have to give up my dreams after all.